Chrome Users: No more extra clicking to play! We know that you want to get to your favorite games without any extra hassle. But sometimes that 'Activate Flash' screen gets annoying! But if you use Google Chrome, then you're in luck! We developed a little tool that'll automatically give the correct permissions without any additional screens or clicking. You can find it here. It's completely optional to use, but we find it really handy! 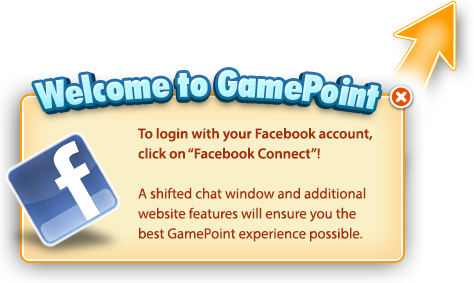 To remind everyone, many internet browsers are moving away from Adobe Flash, which is the technology that runs most GamePoint games when you play via a computer. And that's why browsers like Google Chrome or Mozilla Firefox are repeatedly asking for permissions when you try to play. We're hard at work getting our games away from Adobe Flash so you can continue playing. I was so glad to see this. I tried doing it myself but it only worked once. I was getting annoyed at having to do this every time I logged on.